The Tithe Award and accompanying map were produced in 1840. The award lists all all owners and occupiers of land with each piece of land and house listed. The area of each piece and its use is also specified. The original map is very large yet is difficult to read. It has been transposed onto a series of sheets using the 6 inch OS map of 1890 as a basis. (I have yet to load it). 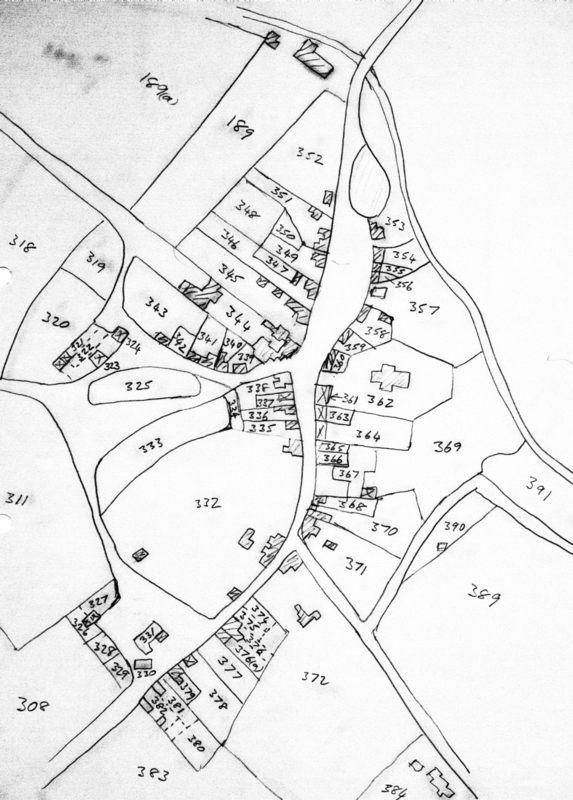 The map of the Village Centre has been retraced from an expanded photograph of the original map and has been loaded. The original award lists the information in alphabetical order by landowner. All the details in the Award have been entered in a database and can therefore be sorted and summarised as required. Here you can view a list of occupiers by reference number on the Village Centre Map.